Soft tissue fillers, also known as dermal fillers, are a nonsurgical solution for restoring a more youthful, radiant tone and feel to your skin. As you age, your skin will begin to lose fullness, resulting in wrinkling and deep lines that can leave you feeling unattractive or prematurely old. 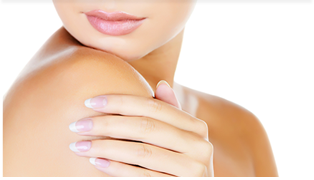 At Piedmont Plastic Surgery, board-certified South Carolina plastic surgeon Dr. Ted Vaughn personally administers all soft tissue filler treatments to ensure you achieve the best results possible. To learn about the products we use at our Greenville-area practice, please call 864-223-0505 today. There are a number of dermal fillers on the market, and while each is intended to reduce deep wrinkles and eliminate more superficial lines and wrinkles, each also has specific advantages and drawbacks. The best soft tissue filler option for you will depend on your specific problem area and skin condition, among other factors. In addition to injectable soft tissue fillers, Piedmont Plastic Surgery also provides autologous fat grafting, in which fat is removed from a problem area such as your abdomen, purified and injected into areas of the face that need additional volume, such as the lips, nasolabial creases and cheeks. For many patients, fat grafting offers numerous benefits, including longer-lasting results and, ultimately, reduced overall costs. To learn more about soft tissue fillers and fat grafting treatments, please contact Piedmont Plastic Surgery online or call 864-223-0505 to schedule your personal consultation with Dr. Ted Vaughn. We welcome patients from Greenwood, Greenville, Anderson, Columbia, and Laurens, South Carolina, along with Augusta, Georgia.